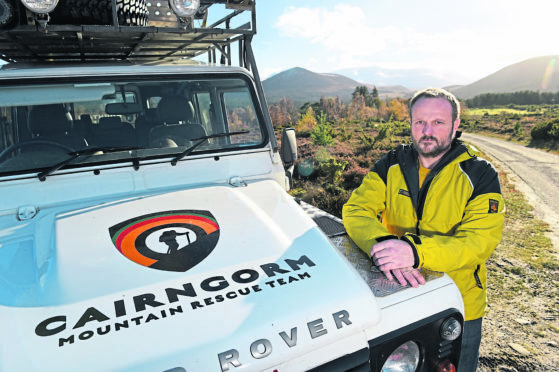 Al Gilmour, chairman of Cairngorm Mountain Rescue Team near Aviemore, Cairngorms. Picture by Sandy McCook. Rescuers have been dispatched to the Cairngorms this afternoon following reports of a climber in trouble. The Cairngorm Mountain Rescue Team was dispatched to the northern Cairngorms shortly before 4pm. Aircraft support has been requested, and the team are currently on the way to the scene. It is understood a climber has suffered a fall. The team has been busy with training and operations this month, including the rescue of a casualty near Ben Mcdui on January 27, and a further incident on January 19. UPDATE: The climber is now being taken by air to Raigmore Hospital in Inverness on board the Rescue 951 helicopter. A second climber has been safely removed from a crag by the mountain rescue team, which is now returning to base.